After analyzing the proposal, sure that you had endless doubts … What reasons could I have to start in the practice of snowshoeing? Are there many risks? Is it an expensive or rather affordable activity? What kind of snowshoe should I buy? What other material would I need? 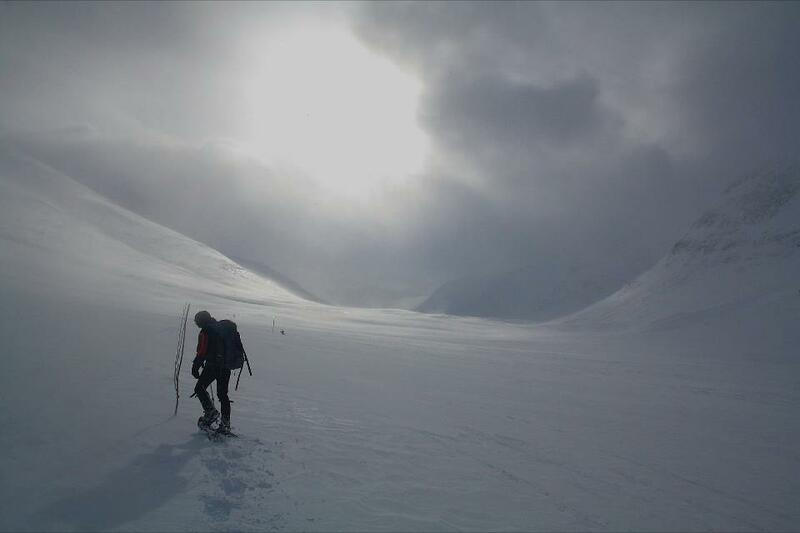 There are many reasons to start in the world of snowshoeing, but the main thing is the desire to perform a mountain activity. As simple as that. When you join physical sacrifice, enjoyment, the magic of nature and the right company few places can be more rewarding. Snowshoes offer dreamy landscapes – regardless of whether the chosen excursion is for a day or under a full moon – and the convenience of being able to access areas where it would be unviable without its use. Nothing to do if the idea is to make a journey – like the Kungsleden in Lapland with departure next week – several days to schedule an occasional departure through the mountains of Madrid. Everything changes from 1 to 100, from the type of racket that will need to be used, the necessary equipment and the required physical condition. The cost of the rackets will vary depending on the use we will make of them: from taking second-hand ones for 25-30€ to acquire some of the technical types that can even exceed 200€, everything will depend on whether they will be used to take an occasional walk – the most usual – or for the performance of activities with a medium-high degree of technical exigency and even those related to the world of competition. Brand, design, quality of materials, type of fastenings and closures, profile of “flotation,” articulation and traction systems, specific offers …, everything influences the final price for a successful purchase depending on the needs of each one. On the other hand, we must also take into account that the use of snowshoes involves having a minimum of mountain equipment, as we know, snow wear is just not very cheap in general, although for our help there always are some great Warehouses and offers on the internet -. However, as in any sport, it’s best if at first, you test with borrowed or rental material and if the feeling is very positive I encourage you to buy some rackets of medium quality – in 4 rents have been amortized - this way we will always have ours ready for any last minute plan. It is evident that, as a winter sport, it is the least harmful and simpler. Enjoy.